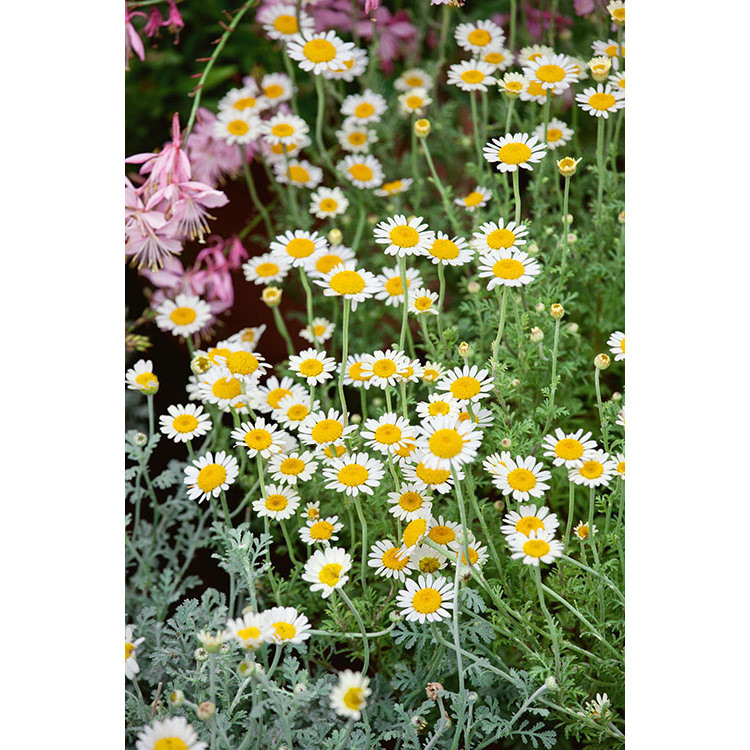 (18”-36”) German Chamomile features a tall, erect plant that has downy stems, feather-like fuzzy leaves and deep-yellow, daisy-like flowers with an apple flavor and fragrance. Commonly dried for tea. Reseeds itself and likes sandy, well drained soil. Full sun.